Partly cloudy skies early will give way to cloudy skies late. Low 34F. Winds light and variable. Jeanie Forrester has been named the new town administrator in Tilton. TILTON — The Tilton Board of Selectmen announced on Thursday that they had appointed Jeanie Forrester to be town administrator, as of Oct. 15. She replaces Joyce May Fulweiler, who will be retiring at that time. 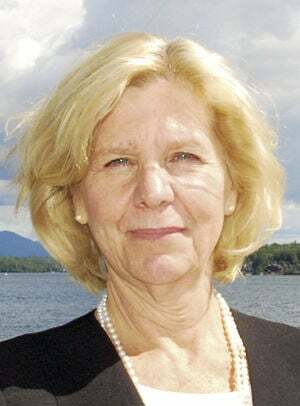 Prior to Forrester's service in the New Hampshire Legislature, where she served three terms in the Senate, she has served in town administrator positions in Tuftonboro and New Durham. She also served as the executive director of the Main Street programs in Plymouth and Meredith. Forrester holds a master's degree in business administration and a bachelor of arts degree in political science from the University of New Hampshire. She also holds certification in the National Trust for Historic Preservation’s Main Street Program and the New Hampshire Economic Development Association’s professional certification program. In making their announcement, selectmen said: "What is most impressive about Jeanie is her caring and compassion for people and the issues that are important to our community. She looks forward to working with the board to achieve our goals — developing innovative ways to improve our town services within budget, conservation of our town’s natural and historic resources, attracting new businesses to improve our downtown, getting more citizens involved on our various town boards and committees, increas[ing] housing opportunities and well-paying jobs in our community, just to name a few. "We are very fortunate to have Jeanie’s skills and expertise as we face these challenges."